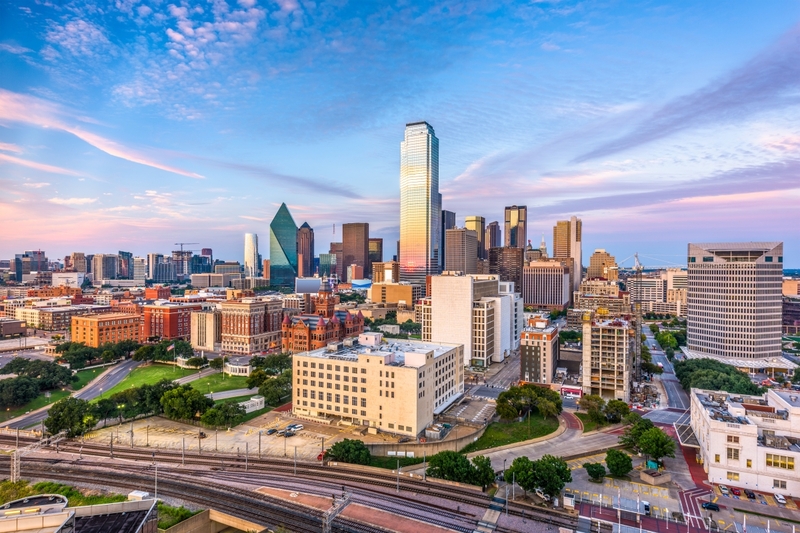 The best cheap business class flights to Dallas from London we found for a client last month were for an amazing £1,764 return. To get the best deals for today, simply complete the form on this page and get ready to explore the financial center of Texas. Our SkyClub agents are dedicated to find you the best deal on cheap direct business class flights to Dallas. British Airways have direct business class flights to Dallas from London. It flies a 747 to the destination and the clients have full access to the business lounge and all the amazing perks and facilities of business class flights. The entertainment center is excellent with 10.4 inches screens along with lie-flat beds and inbuilt massage system. Enjoy from a wide range of culinary delights and refreshments and get advantage of priority boarding and check in for a relaxing, stress free journey. You also get sufficient work space and privacy on board to catch up on work and recharge your electronic devices on the power sockets provided with every seat. You can avail special offers with British Airways by booking with SkyClub and get amazing deals and discounts along with security and travel insurance. British Airways have flights leaving for Dallas at 11:25 am, 12:15 am, 2:25 pm and 8:40 am every day of the week. You may also book indirect business class flights to Dallas with our SkyClub agents at amazing deals. Air Canada, British Airways, American Airlines and Lufthansa offer indirect business class flights with one to two common stops at the airports of Toronto, Dublin, Tampa and Chicago. Business class flights to Dallas land at the Dallas-Fort Worth International Airport. From there, you have several ground transportation options to reach your hotel. Most taxi services are available at designated areas along the upper level curbside exits that can be readily booked. These include Star Cab, Ambassador Cab, Yellow Cab and Cowboy Cab. You may also opt for Uber or Lyft for cab sharing. Many airports offer complimentary shuttle services to and from the airport. If you wish to opt for public transport, you can catch Bus #310 from the remote north parking at the airport or Bus #408 from the remote south parking. Please take special care of your luggage and belongings. The Shuttle Van services are also available from the airport. These include Super Shuttle, City Shuttle and Go Airport Shuttle. Trinity Railway Express runs from the west side of Fort Worth. You may rent a car via off airport rental car providers. Our SkyClub agents can book you an all-inclusive package with direct business class flights to Dallas and hotel stay at your convenience. Omni Dallas Hotel is an excellent choice for your stay in the city. The upscale and sleek hotel is at a walking distance from the historic Dealey Plaza and the Dallas Museum of Art and the Nasher Sculpture Center. The sophisticated and modern rooms feature premium entertainment options with Wi-Fi, 42 inch flat screens and sensory floor lighting. The windows open up to spectacular city views. You will have full access to coffee shops and lobby bar, heated outdoor infinity pool, business center and a relaxing full service spa. Cambria Hotel Downtown Dallas is also a great choice. The polished and modern hotel has an artsy décor and is quite near the Dallas World Aquarium, Kay Bailey Hutchinson Convention Center and I-30. Relax in their comfortable rooms with complimentary Wi-Fi and breakfast along with flat screen TVs. Eat at the informal restaurant and enjoy the bar services with exotic Texas inspired cocktails. Dallas has a lot of architectural and natural beauty as well as business opportunities for explorers and travellers. Here are some top things you can do to make your trip exciting and memorable. JFK Assassination and Museum Tour – The most sensational thing linked to Dallas is the JFK assassination. Here you get to explore the grassy knoll in Dealey Plaza and see the John F. Kennedy Memorial where a guide takes you through the historical significance and interesting facts about the place. Dallas Uptown Food Tour – If you really want a full experience of Dallas, you need to eat at the top restaurants of the West Village and other upscale areas and enjoy the local cuisines and drinks. Dallas Art District – You need to keep aside at least 3 hours to get the full tour of the country’s largest urban art district. You can go on a scavenger hunt or outdoor trivia race or just walk around and take in the rich history and information. Don’t forget to stop by the gift shops and restaurants. According to a recent SkyClub Survey, over 35% of our clients expressed their interest to have at least one adventurous and adrenaline filled venture during their stay. Here are some of our top picks for you. Spectacular – The Zero Gravity Thrill Amusement Park is the only thrilling amusement park in the world that features amazing adventure rides! Go on the Texas Blastoff, The Nothing’ But Net, Bungee Jump, Skyscraper and Sky coaster and meet your adrenaline dreams with the amazing free fall experience. Sky – It is truly exhilarating to soar through the air and literally fly through Dallas with the Skyline Trapeze where professionals teach you specialty tricks and let you have a go at the professional flying trapeze rig. Sea – Go scuba diving with High Tide Scuba and discover the exotic and magical underwater world and learn about deep sea diving from experts. British nationals can travel visa free to Dallas for short periods. Spring is an excellent time to visit the city with moderate temperature. The city is in full bloom and brimming with life. Late September to mid-November have several festivals, events and activities taking place round the city with cool nights and all the fall goodness. To get the best cheap Business Class flights to Dallas, simply complete the form on this page or call 0044 207 255 1234 to speak with one of SkyClub’s fast and friendly experts. 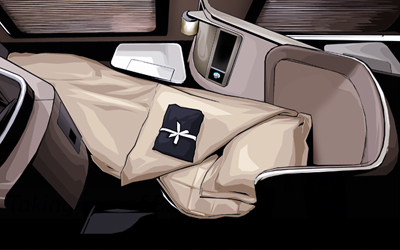 We will find you special, discounted fares that are not available online. So, by the time you take your business class flights to [destination], you’ll feel happy knowing that you’ve paid less than the person sat next to you! Have a great trip and – if you want to save money – please book with SkyClub.